My husband likes this deodorant because it does not have a ‘sickly’ smell that a lot of others do. When it is on special at my local supermarket, I always stock up!! I love Mitchum Deodrant Roll On Unscented because it’s the only anti perspirant that works as an anti perspirant! It doesn’t need fancy packaging or clever marketing to sell because this product genuinely works and once you try it, you won’t use anything else! 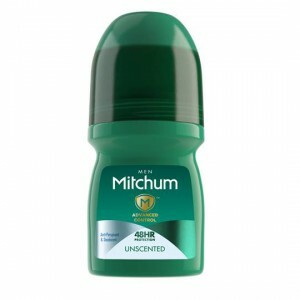 How would you rate Mitchum Deodorant Roll On Unscented?